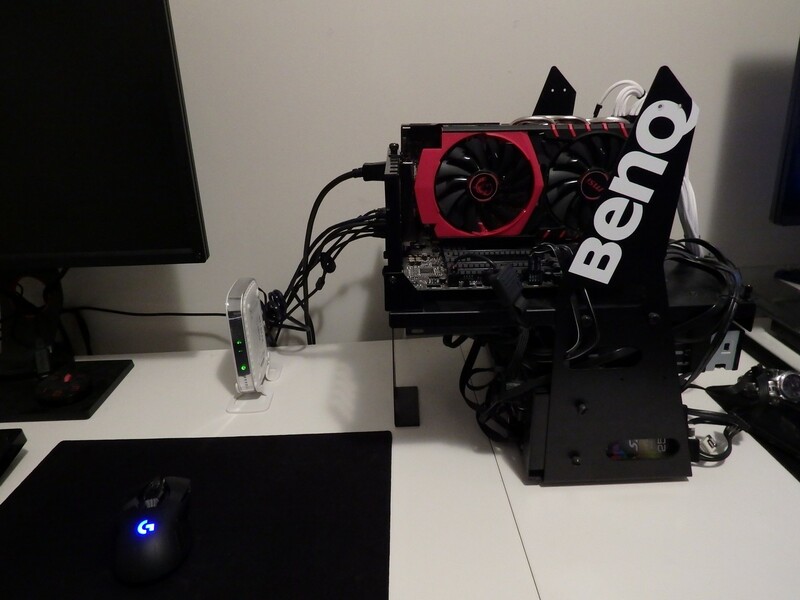 The AMD test bench is our dedicated ‘AMD’ setup. 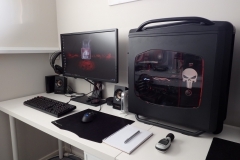 The initial build was aimed at 1080p gaming so how did it go? 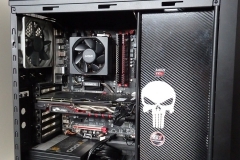 AMD, Gigabyte and Western Digital provided us with the means of creating a core platform to test out what Team Red had to offer. 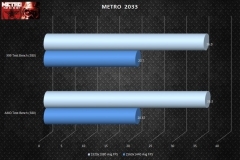 MSI made an R9 380 Gaming 4G graphics card available to give us 1920×1080 gaming goodness and previous review samples from Kingston, ADATA, Noctua and Cooler Master finished off the build quite nicely. 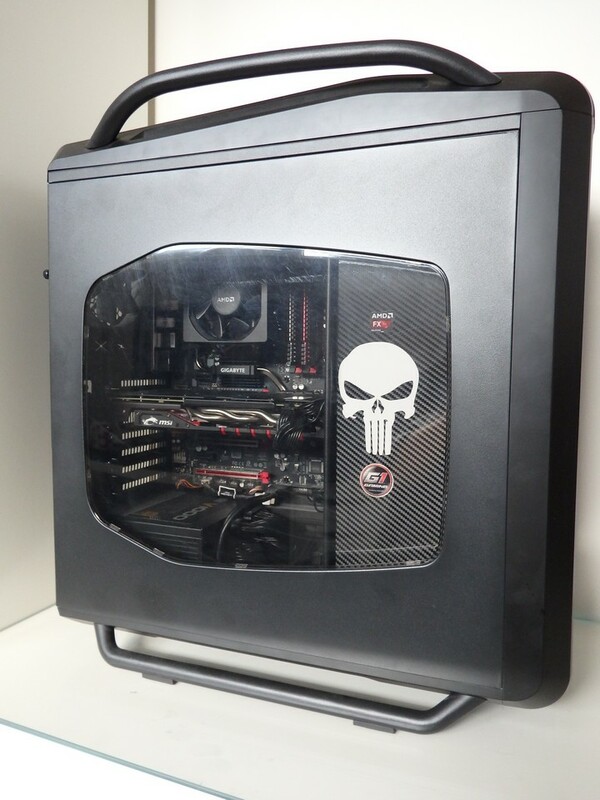 Lets not forget the custom RGB lighting from Deepcool and the cosmetic side panel to cover the drive bays. 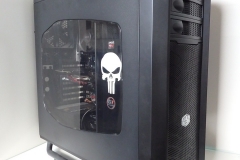 We loaded up the 6TB WD Black hard drive with every game and benchmarking program we had in the library (all legitimate Steam, Origin, GOG and Uplay) then set to work testing the living daylights out of the rig. 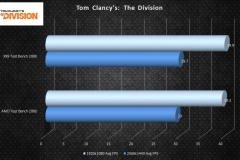 It’s worth noting that the majority of our testing was undertaken using a BenQ XL2730Z FreeSync monitor so frame rate fluctuations were less obvious. Some of the feedback we had was asking how the AMD Test bench compared to the standard MSI X99 Test Bench when the same graphics card was used. 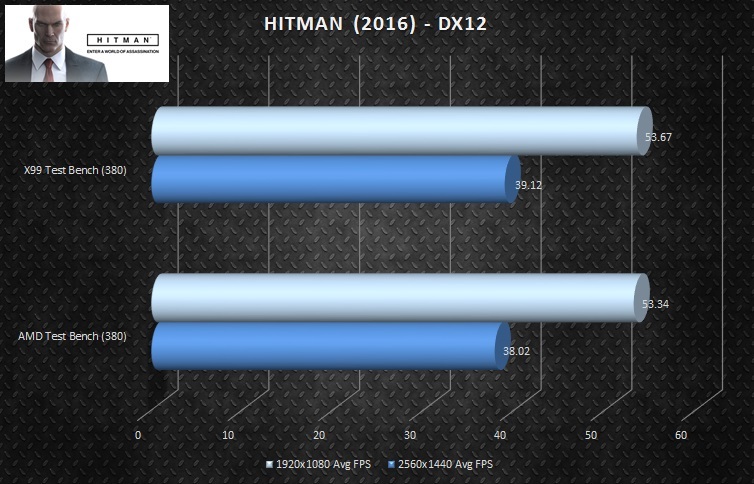 We also had a few people asking for a DX12 comparison between Intel and an AMD CPUs paired with a Radeon card. The only Radeon card that we had at the time of testing was the MSI R9 380 Gaming 4G – there is an RX 480 review coming very soon where we’ve repeated the testing so stay tuned. The specifications for both systems are listed below – keep in mind that this was never meant to be a fair fight. 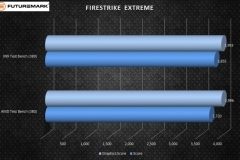 To kick things off, we ran our synthetic benchmarks to see how much of an advantage the 12-core X99S Gaming 7 test bench had over the 8-core AMD setup when they both used the same R9 380 graphics card. The Intel i7-5630K is a much more expensive and powerful CPU and it was also paired with 32GB of HyperX DDR4 3000 so the technology advantage goes to the Intel platform from the start. 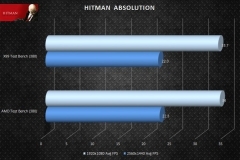 The expectation was that the Intel i7-5630K would have a big advantage with physics calculations among other things. 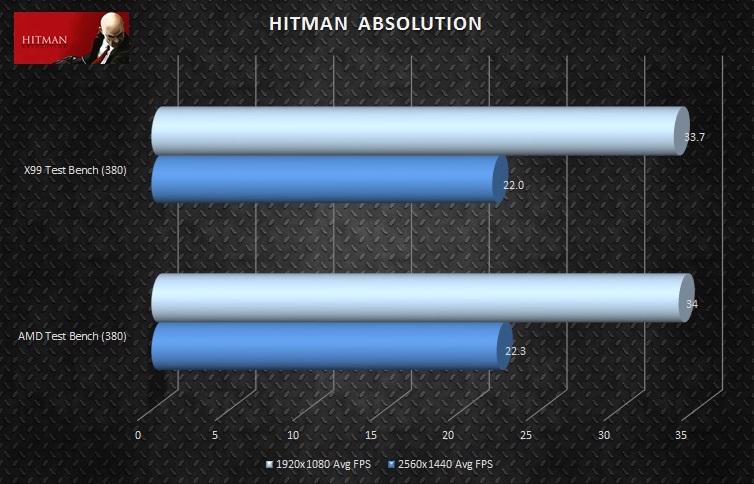 That being noted, we were still really interested to see if the FX-8350 was going to bottleneck our games and what the performance difference was when gaming or running ‘in-game’ benchmarks. 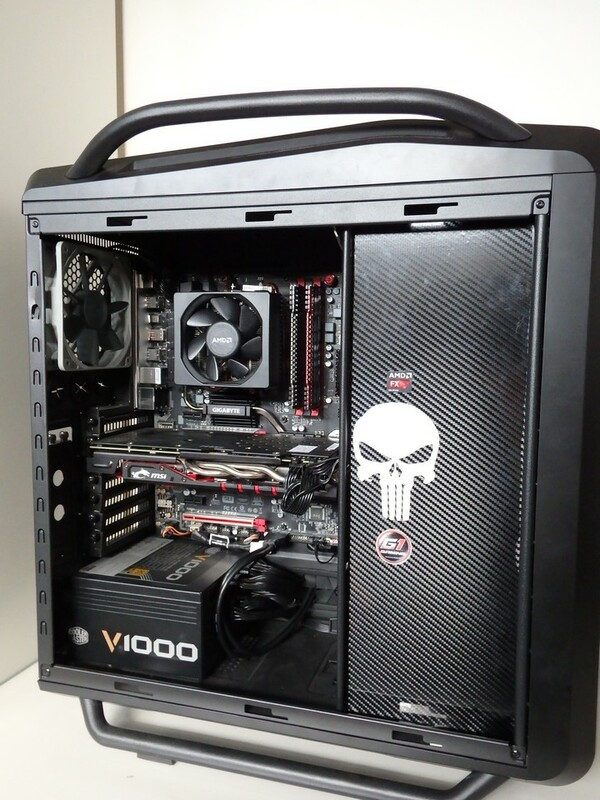 This AMD Test Bench was always about affordable gaming so we wanted to see how it stood up against a much more expensive and ‘beastly’ system. 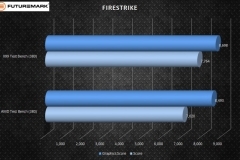 The benchmarks show an advantage in terms of the physics weighting in the testing and the gap is pretty clearly there in favour of the MSI X99 Intel-based test system. 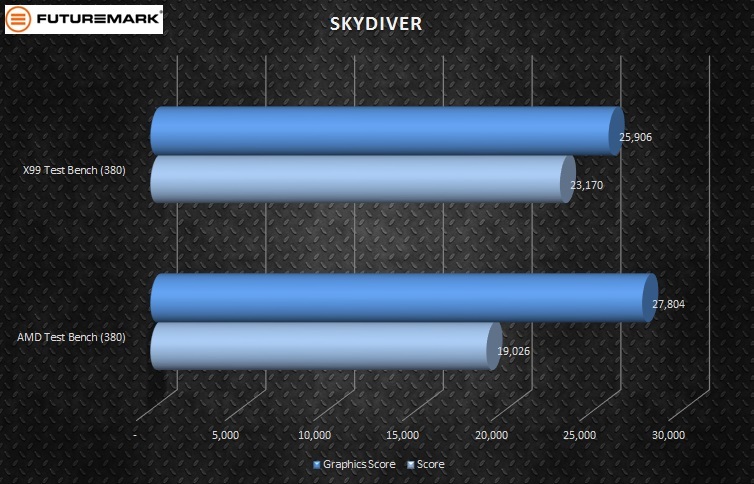 The Graphics score of the synthetic benchmarks is essentially matched but the overall score is higher for the more powerful and expensive Intel platform. This result confirmed our expectations that the 12-core HASWELL-E would consistently beat the 8-core FX-8350 but we don’t buy these rigs to watch benchmarks – we really wanted to know what the difference was in gameplay. 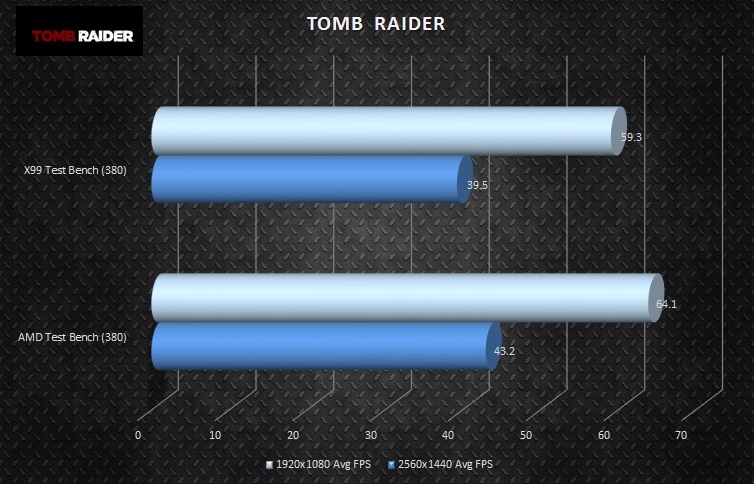 The fairest way to compare gameplay is to run in-game benchmarks so we ran the usual titles to see what the real world gaming difference between these systems was. Tomb Raider performed better on the AMD FX-8350 platform by 4-5 FPS. 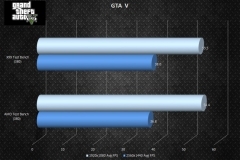 The results quite clearly indicate that a mid-lower end card like the R9 380 doesn’t benefit in any tangible way from the extra CPU horsepower in the games we tested. It also backs up the general consensus in the lab that the AMD test bench was bottlenecked by the Radeon R9 380 graphics card. As a platform, the ageing AM3+ is still a good setup to game on. The new Gigabyte 990-FX Gaming motherboard sporting great utilities, Type-C USB and M.2 which adds to its longevity. We also tested an assortment of other titles such as Elder Scrolls Online, Battlefield 4, COD Black Ops 3, X-Com2, World of Warships, and many more – primarily at 1080p. The 990FX and 8350 CPU are clearly powerful enough to make the most of the R9 380. The AMD Test System was intended to deliver 1080p gaming with most, if not all of the eye candy enabled. It did this consistently with the regular bonus of solid 2560×1440 gameplay in the less demanding titles. 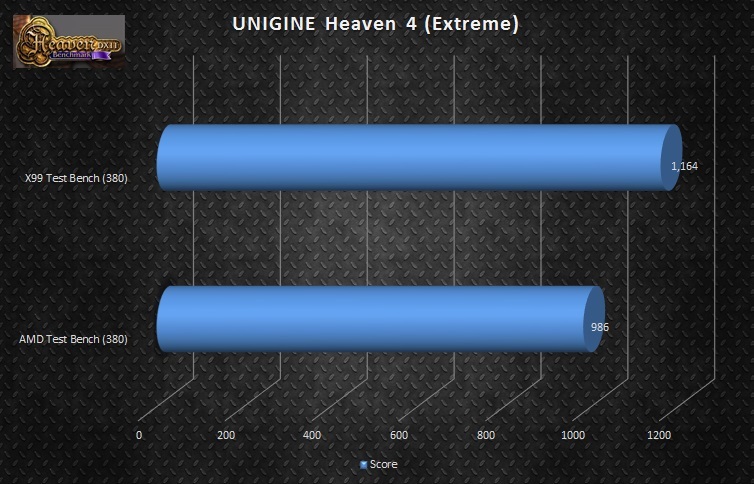 The next test is to see if an RX480 shows up a different gap in the influence of the CPU on gaming – watch this space. 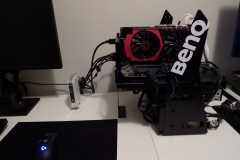 A number of readers have emailed us at feedback@pcgamers.net.au with questions about the test bench so I’ll try to answer some of the main queries here. There were a number of general queries relating to stability and driver support. 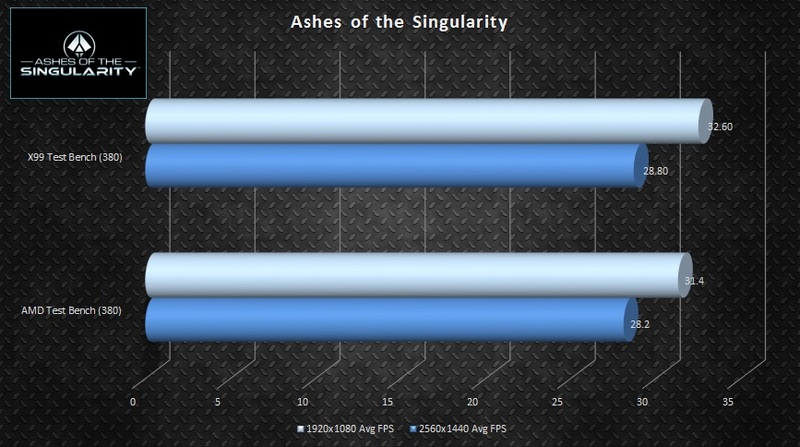 The AMD Test Bench has been the most trouble-free system that I can remember. 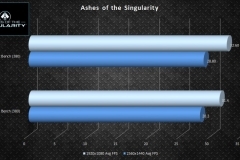 In the 12 weeks we’ve been using the AMD test bench, it has been rock solid. 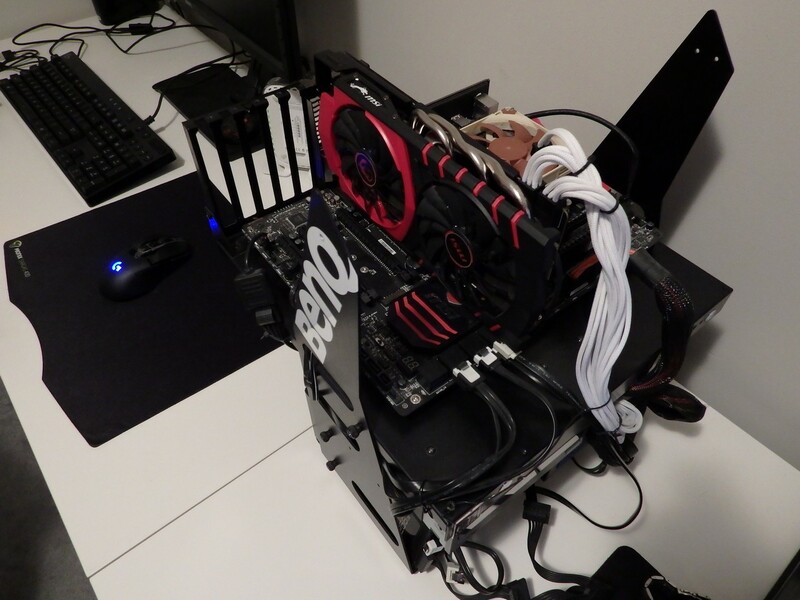 Aside from some specific overclocking tests where a system halt was the expected result, the rig has not crashed once since we built it. 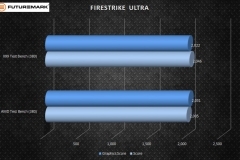 Gigabyte and AMD should be recognised here for some rock solid drivers and chipset support. We literally just installed Windows 10, used the installation CD then ran the update utility. 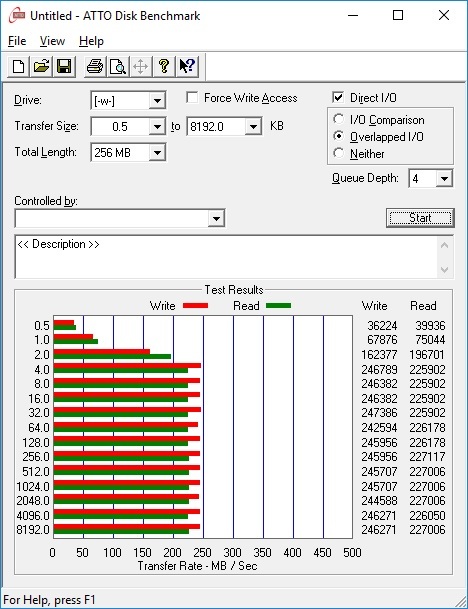 The Crimson video drivers have also been 100% stable. The Cosmos SE default fans are more than adequate and don’t really ‘need’ replacing. The decision to switch to Noctua fans was something we did because we had the Noctua Redux fans handy, we liked the idea of the contrast and they also provide consistent airflow at low RPM. The replacement of the standard Cooler Master fans was not because the stock fans are inadequate. We also added an RGB LED kit to the Cosmos SE so the front LED fans were less important from an aesthetic point of view in our opinion. 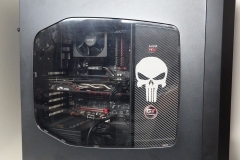 Yes, I’m still using the Wraith cooler. No, the Wraith cooler isn’t as quiet as something like a Noctua D15S, C14 or AIO water coolers. The pre-applied thermal paste appears to be very effective and you don’t ‘need’ to clean it off in favour of another product – but you can. The ADATA XPG V3 RAM does come with a red heat spreader insert and a gold insert. These can be painted if you want to. We spray painted the gold ones in a matte white for a concept build last year. 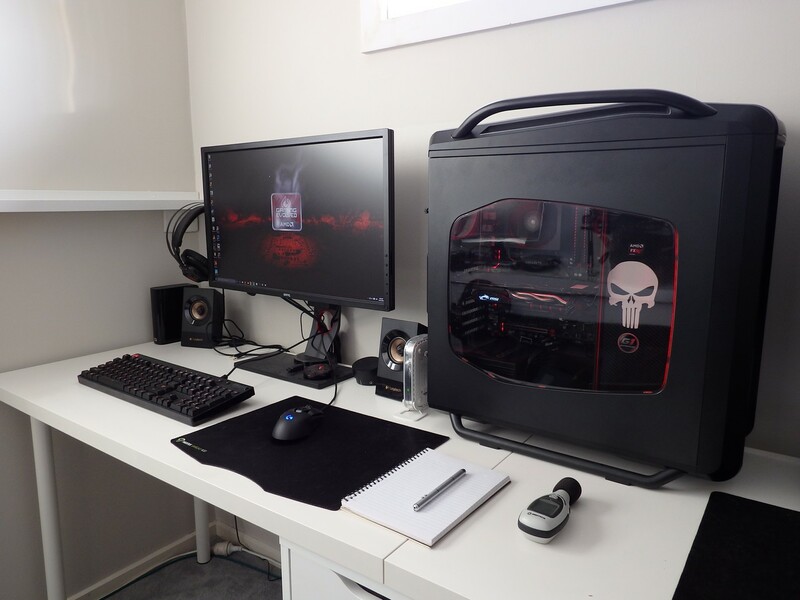 In keeping with the Gigabyte ‘G1 Gaming’ theme, we chose to use a red heat spreader and a custom painted white one for this build. 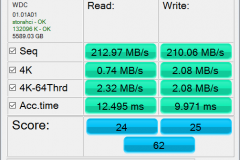 The RAM modules themselves are exactly the same at a technical level. 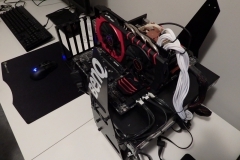 The AMD Test Bench is what we would call ‘tidy’ or perhaps ‘neat’ but there is room for improvement and it’s likely to get some attention in the near future to conceal some of the excess cables – in particular the newly added Noctua noise reduction adapters. The Cosmos SE has a few nifty areas where you can route cables to make them less obvious/visible. Audio – how good is it really? The Audio on the 990-FX Gaming is good and the audio platform has been tweaked by Gigabyte to make gaming with headphones an immersive experience. The audio seems true in every game that we play and we can’t fault it so far. 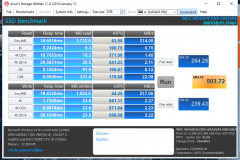 The microphone performance is also spot on when using VOIP applications. Optical Drives – Did you forget? What if you need something on a DVD? This is a beast of a hard drive but no, it isn’t as awesome as an SSD. 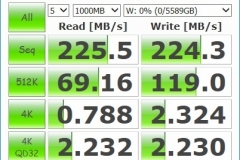 We notice the difference when loading titles from the 6TB WD Black as opposed to an SSD. 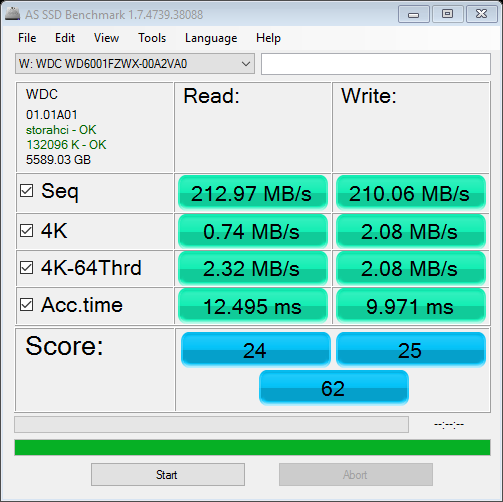 That said, we compared load times from the 6TB Black against another 7200 RPM drive and found the load times to be consistently and noticeably faster. 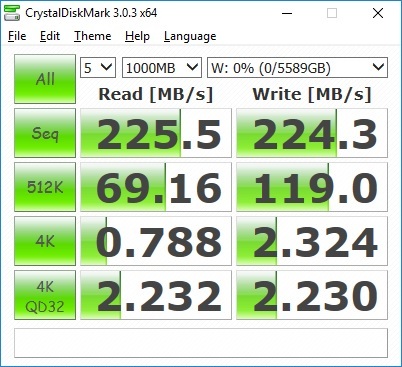 If you need bulk storage for your massive games library and want to install everything you own, the 6TB WD Black is the way to go. Here are some of the benchmark tests we ran on it from the X99 test bench prior to installing it in the AMD Test Bench. 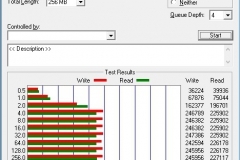 A few readers have asked what we don’t like about the AMD test bench as the content has been quite positive to date. We noticed that some tasks like video encoding seem slower on the FX-8350 than the other Intel-based systems that we have in the lab and at home. From a purely gaming point of view, the system plays games well at 1080p. 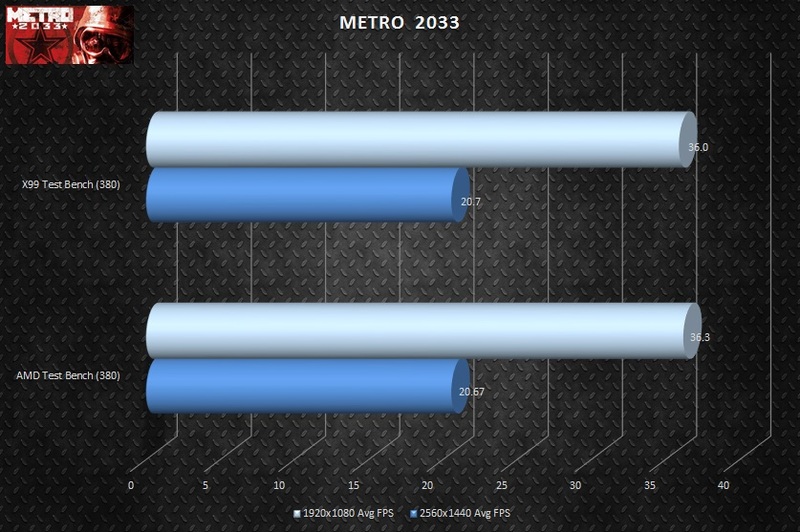 The R9 380 is the bottleneck of the system and recent testing of an RX 480 has us wanting to upgrade the graphics card in the Test bench so that we can really get the most from our 1440p 144Hz FreeSync display. Yes the testing area workspace always looks like that. A cluttered workspace increases the chances of components getting damaged or product accessories going missing – obviously both of these outcomes are not good for us. It also makes for a more immersive gaming experience if you don’t have crap snagging on mouse cables or distracting you. Our main workspace area is made from IKEA desktops, legs and a drawer unit. The primary test area has a dedicated monitor, keyboard, mouse, headphones and speakers. The secondary testing area uses an ATEN dual-DVI 4 port KVM. KVM switches like this are under-appreciated. They save you having to buy multiple peripherals or monitors and also avoid the need to manually switch peripherals between PCs. There is also an obvious saving on desktop real-estate. 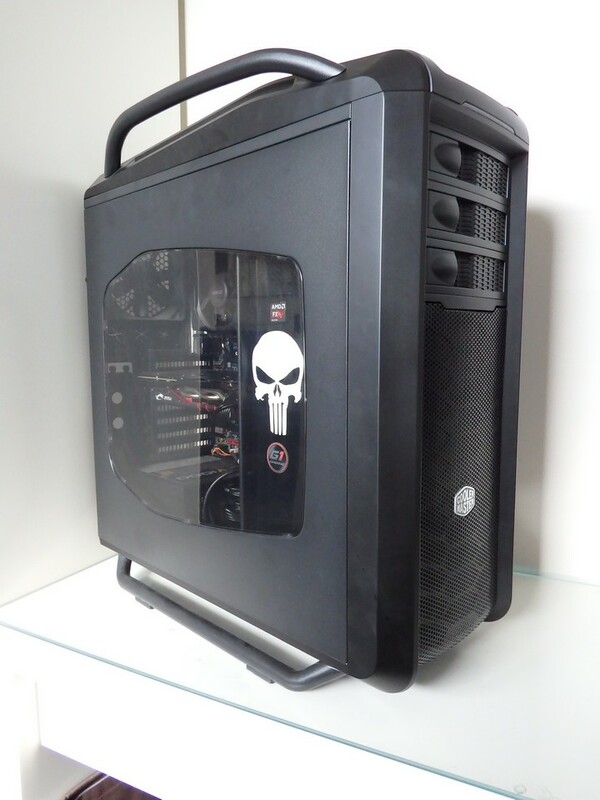 Disclosure: The components for this build were all provided/loaned by the manufacturers as either previous review samples or under specific sponsorship for this project. Projects like this could not happen without this kind of support from the vendors.